Join our event e-mail list and receive notices of our upcoming events. Just send an e-mail to almendingerr@einetwork.net with the subject heading "Event List." Our artist for the month of April is photographer Richard Lechner. His photography is of favorite places he has visited including, Pittsburgh, Erie, PA, Alaska, and several from his recent trip to Italy. They were all taken with his iPhone. Join Jeri McCutcheon at the library for a beginner's Tai Chi class. This class is free and open to the public. Jeri McCutcheon has been a mind-body teacher for over 30 years. (yoga,karate,tai chi) and in Pittsburgh corporate fitness 10 years. This hour-long class will consist of warm-up exercises and beginning to learn the Yang Short Form, which she has been teaching since 1999. Tai Chi is moving meditation, a healing art. Its graceful movements are inviting, eliminating the mental hurdles to start exercising. Its benefits include: increased energy, reduced stress, and improved balance. Practice of tai chi will help you to build coordination, refine posture and create peace. Everyone can benefit from learning; all that is needed is the ability to stand and breathe. Please wear comfortable clothing and flat sole shoes. Our OCL After School Program has a new location & a new look! We will now have featured activities each week in the Children's Department upstairs! Visit any day to see what we have going on. This week we will have Spheros! This program is open to all students ages 5 and above. Mom's Night Out Craft Program! Leave the kids at home and come to the library to relax, enjoy snacks, and get crafty with other moms! FREE! No registration necessary. All supplies are provided. Celebrate Spring and paint your own ceramic bird planter to take home! The Red Oak room will be open to sell our ANTIQUE AND COLLECTABLE BOOKS specially priced. Something for all ages. Bring your family and friends and enjoy browsing over 6000 items! The SQUIRREL'S NEST will be closed the week following the sale to reorganize. It will reopen Monday, May 6th all cleaned up with lots of new items! Join Donna Knapp at the Library to play or learn to play American MahJong. Mahjong is a game of both skill and luck that originated in China many centuries ago. American mahjong (also sometimes spelled "Mah Jongg" or called "Maajh") is unique from Asian mahjong in several ways. American mahjong utilizes racks, jokers, "Hands and Rules" score cards and has several distinct gameplay mechanics. Although an American mahjong set can be used to play Chinese Mahjong, the rules that we will follow are for the American game.Donna is a retired teacher who lives in East Oakmont. The sessions are free and open to the public. If you already play bring your Mah Jong set and your friends; if you never played, there will always be a beginner's table. It's easy and it's fun. Our Book Buddies Story Time is for children ages 0-5 with a caregiver. We include free-play followed by circle time and a simple craft. Children should be able to sit and listen to a short story. Due to large attendance, please choose either Monday or Wednesday to attend. FREE to the public, no registration necessary. Our OCL After School Program has a new location & a new look! We will now have featured activities each week in the Children's Department upstairs! Visit any day to see what we have going on. This week we will have Snap Bots & Magna-Tiles! This program is open to all students ages 5 and above. Stories, songs and fun for 2 and under, with social interaction and pl ay time afterwards! Keep it Simple - Eat Better and Save Time and Money! Choosing nutritious foods can make a real difference in your health. Join Registered Dietitian Nutritionist, Julie Hagan, who will demonstrate some fast and easy recipes to boost your nutrition scorecard, make you feel lighter and keep your body running more smoothly. ?Tuesday evening. No registration is necessary; all are welcome. A guided meditation practice offered every other Thursday to provide the basics of finding inner peace, balance and self-control. The class is free and open to the public, just come on down! This meditation class is now lead by Marilyn Patete. Join us at the Oakmont Library on the 2nd Wednesday of every month at 6:30pm for our new TED Talk A/V Book Club! In this unique book club, we will be choosing from a series of TED Books and watching the companion talk at every meeting. These books, on a variety of scientific, educational, and health related topics, are short enough to read in one sitting, but full of big ideas! Each book has a companion talk that is less than 20 minutes. At our meetings, we will watch the talk and then discuss the book and the talk together! From the TED site: TED is a nonprofit devoted to spreading ideas, usually in the form of short, powerful talks (18 minutes or less). TED began in 1984 as a conference where Technology, Entertainment and Design converged, and today covers almost all topics — from science to business to global issues — in more than 100 languages. If you're looking for something to do Saturday afternoons, once a month we're showing a PG-13 film for young adults aged 13 -18, with snacks provided. 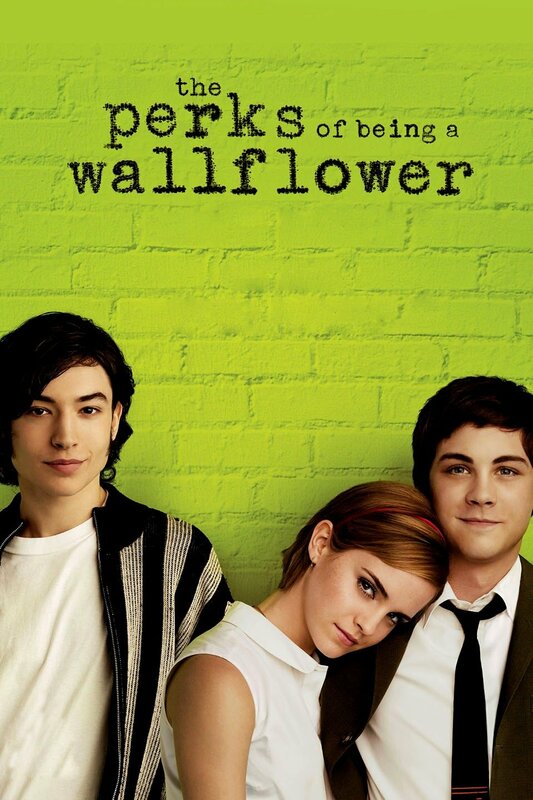 This month we're showing the Pittsburgh-based The Perks of Being a Wallflower, based on the classic YA novel by Stephen Chbosky. Click the poster below to see the trailer. Check out oakmontteens.wordpress.com or follow us on Twitter and Instagram for more information. Congressman Conor Lamb, representing the 17th District of Pennsylvania, has local offices in Mt. Lebanon and Beaver county. On May 16, he will send his office staff to us! For your convenience, they will be here at the library from 10-3 to answer questions or assist with any problems you may have - just drop in. Can't make it on May 16? The mobile office will be here again on June 20. Save the Date! Taste of Two Towns returns to the Oakmont Library! Don’t forget - this year’s Taste of Two Towns extravaganza will be Sunday, May 19 from 5:30pm to 8:00 pm. This year’s event features something sweet, something savory, drinks, music, raffles and much more. You will have the chance to mingle with family, friends and neighbors and shake off the last dark days of winter. Get tickets here or in person at the library. Until April 15 they are 2/$99 or $50 for a single ticket. On April 16 until the event, ticket prices are $60 ea. They make a great Mother’s Day gift. The Oakmont Library will be transformed from a quiet shrine to lifelong learning into a buzzing bistro featuring sample dishes from top area restaurants. Your food, drinks (wine, beer, soda, and water) and entertainment are all included in your donation, and $40 of that donation is tax deductible. To reserve your space (tickets will not be mailed), stop into the library or buy them on our website after March 26. Reservations will be held at the door. Please note this event is for adults and all proceeds benefit the Oakmont Carnegie Library. The Oakmont Library is located at 700 Allegheny River Blvd, Oakmont PA 15139. Gary Rogers will present the history of the significant buildings of Oakmont. This biographical documentary explores the life, lessons and legacy of the iconic children's TV show host Fred Rogers. Through interviews of his family and colleagues, the life of this would-be pastor is explored as a man who found a more important calling to provide an oasis for children in a video sea of violent bombardment. That proved to be his landmark series, Mister Rogers' Neighborhood (1968), a show that could gently delve into important subjects no other children's show would have dared for that time. 90 min. Join us at the Oakmont Library as we present Astonishing Pennsylvania Encounters: Past and Present with Stan Gordon! This illustrated presentation highlights some of the most famous and unusual UFO, Bigfoot, and strange encounter cases Stan has investigated since 1965. You will learn about Low level UFO cases, Close encounters with Bigfoot and other mysterious creatures. Bigfoot & UFOs seen together, eyewitness accounts of Thunderbirds, Black Panthers and mysterious water creatures reported from rivers and lakes in Pennsylvania. Stan also discusses some of the weirdest cases he has looked into. Are there werewolves in the forests of the Keystone State? Hear about the latest local Bigfoot and cryptid sightings. Do monsters really exist? Stan Gordon was trained as an electronics technician who specialized in radio communications. Stan has been researching UFO sightings, Bigfoot encounters, and other mysterious events in Pennsylvania since 1959. Since then, he has been involved with the investigation of thousands of unusual incidents. He is the primary investigator of the 1965 UFO crash incident that occurred near Kecksburg, PA. Stan has been taking calls on UFO sightings and other strange reports from the public since 1969, and he continues to receive unusual reports on a regular basis. He has given illustrated lectures both locally and nationally on the topics of UFOs, Bigfoot, Cryptids, and strange encounters since the late 1960s. In more recent years he was also seen on The Close Encounters series on the Science Channel, Monsters & Mysteries in America on the Destination America Channel, Monumental Mysteries on the Travel Channel, In Search of Aliens on H2, and UFO Conspiracies on the Science Channel. Stan also has been featured in a number of documentaries, including “Invasion On Chestnut Ridge.” He also has a cameo appearance in the family movie “A Wish For Giants” that premiered in February of 2018. See www.awishforgiants.com for details. Stan will be speaking at many events in 2019 and will be featured in a new film “Paranormal Bigfoot” that is scheduled for release in January of 2019. He will also be appearing in the new miniseries “On the Trail of Bigfoot” that will also be released in 2019. For update information on upcoming events and reports see: www.stangordon.info. PLEASE NOTE THAT THE MOVIE WILL BEGIN AT 4PM. Showtimes will go back to 2PM in August. At the age of 84, U.S. Supreme Court Justice Ruth Bader Ginsburg has developed a breathtaking legal legacy while becoming an unexpected pop culture icon. But without a definitive Ginsburg biography, the unique personal journey of this diminutive, quiet warrior's rise to the nation's highest court has been largely unknown, even to some of her biggest fans - until now. RBG is a revelatory documentary exploring Ginsburg's exceptional life and career. The SQUIRREL'S NEST will be closed the week following the sale to reorganize. It willl reopen Monday, October 28th all cleaned up with lots of new items!